Barbara Grier- Little is a graduate of Central State University, Wilberforce Ohio and a Detroit Public school educator for over 30 years. Her further training continued at Wayne State University, Eastern University, Birmingham Bible College and Wagner Leadership Institute. Prior to retirement in she served as a certified workshop consultant, in Professional growth and development at Detroit Public Schools. She was awarded the Wayne County Outstanding Educators Golden Apple Award. She served on Detroit Schools Sexual Advisory board for over 10 years. She founded the Joy of Jesus Girl’s inner city camp, and established Understanding God Bible classes and school of ministry in local churches. Barbara founded the Daughter of Sarah Ministries, known for equipping and empowering women, and the Destiny Life Network, promoting abstinence and pro-life. 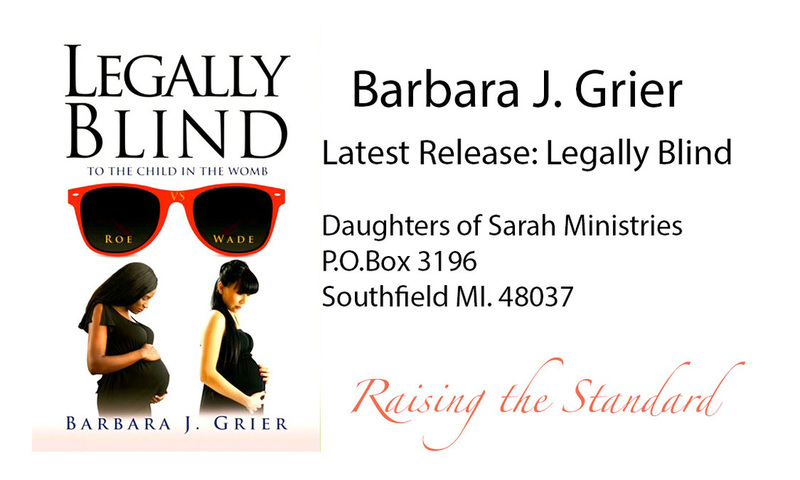 In 2016 she authored ‘Legally Blind ‘to the child in the womb. A book which highlights the original intent for all life. As well hosts The Voice of Reason Radio Broadcast weekly on 1440AM Detroit and Cincinnati Ohio. She enjoys apostolic alignment with Apostle Barbara Yoder – Breakthrough Apostolic Ministry Network, Ann Arbor Michigan also with Apostle Chuck Pierce -Glory of Zion International Ministries. Corinth Texas. She speaks nationally and internationally at churches and conferences, and is known for a breakthrough anointing. She is surrounded by her husband Frederick Douglass Little Jr and a host of loving family members.